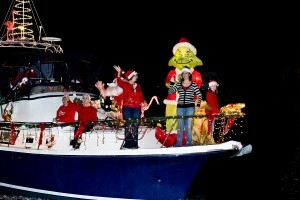 Decorating Tips & Workshop – THE SATURDAY NIGHT BEFORE CHRISTMAS EVE BOAT PARADE – The Biggest Annual Event in the Isles ! 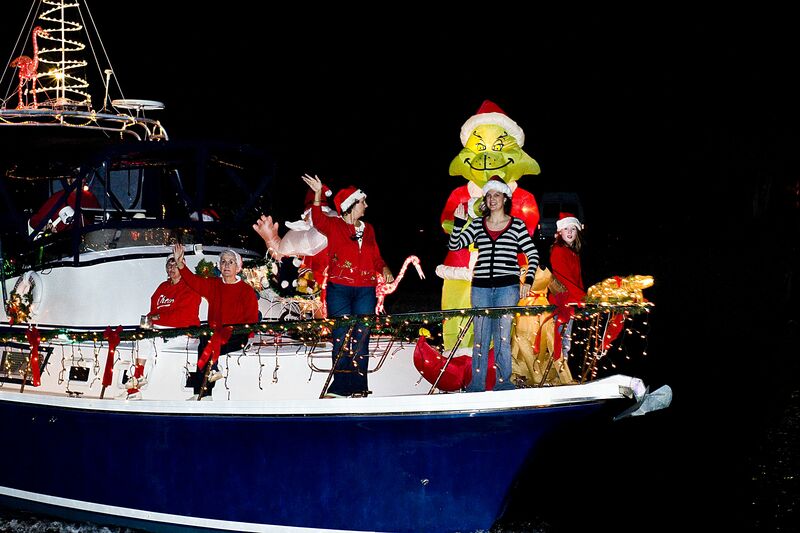 THE SATURDAY NIGHT BEFORE CHRISTMAS EVE BOAT PARADE – The Biggest Annual Event in the Isles ! Where To See The Parade? START SMALL . . . IT’S EASY ! DECORATING SECRETS REVEALED ! ! This is a fun, joyful and interactive parade. 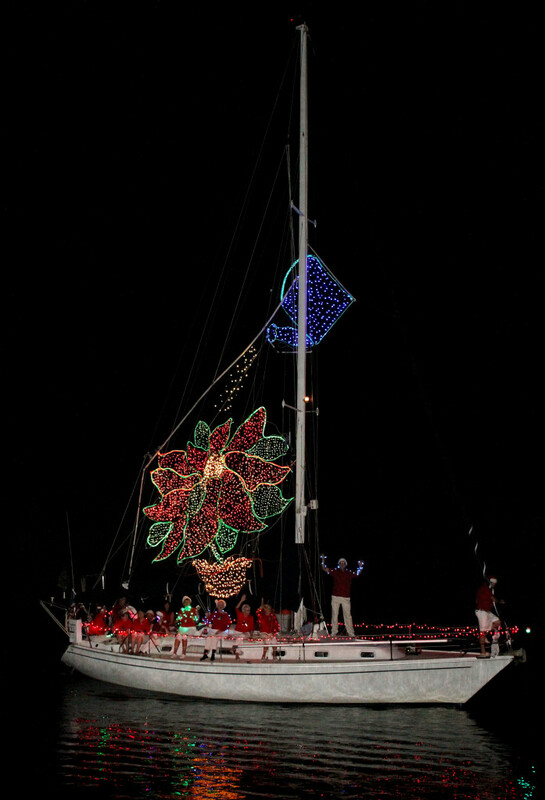 Its uniqueness is not the elaborate or expensive decorations found on some boats, but most importantly it is the interface between the crews aboard the vessels and the thousands of spectators lining the parade route. This is the key to the enjoyment level of all. Beautiful silent boats will simply not raise the level of cheers, noisemaking and pure excitement from the crowds that boats full of people, music, singing and motion will draw. Use of a familiar theme will make the crowd roar in appreciation. 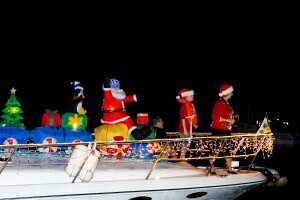 A large boat with huge elaborate decorations is not a requirement. 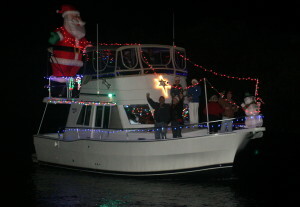 Entertaining boats full of people having fun will get the most enthusiastic ovations. Talent Connections are available and tips and tricks for attention getting displays are provided at the Decorating Workshop. 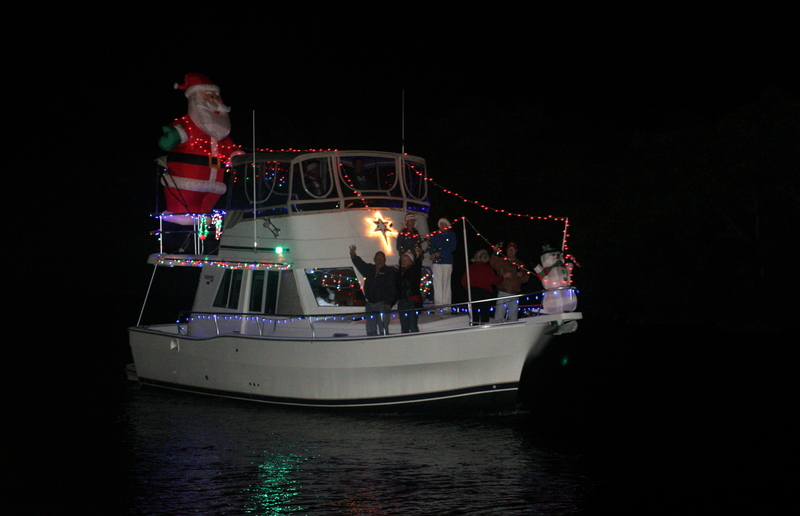 Participation is as easy as stringing some lights along your bowrail and putting Santa hats on your crew. 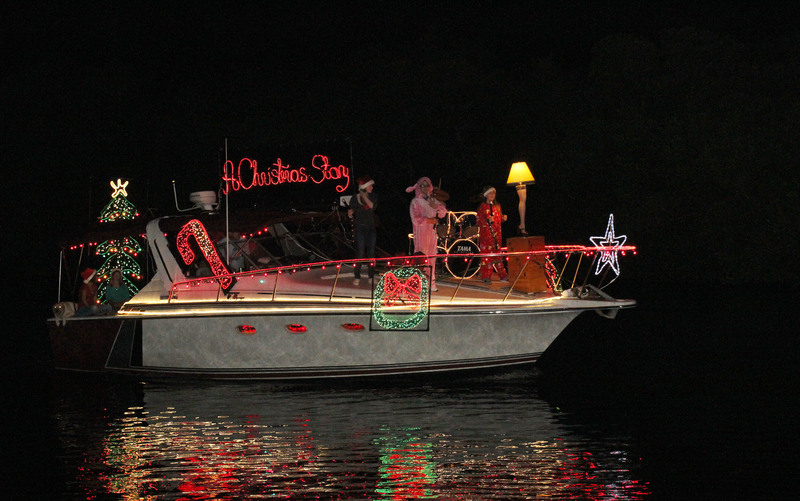 Be as conservative, or imaginative as you dare, the ticket to this Parade is to share the Spirit of the Season with your crew and the crowds. 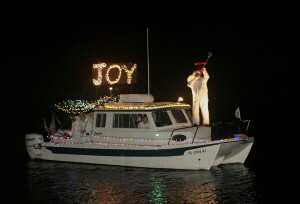 Many parade veterans started out with just a few simple lights plugged into an inverter. 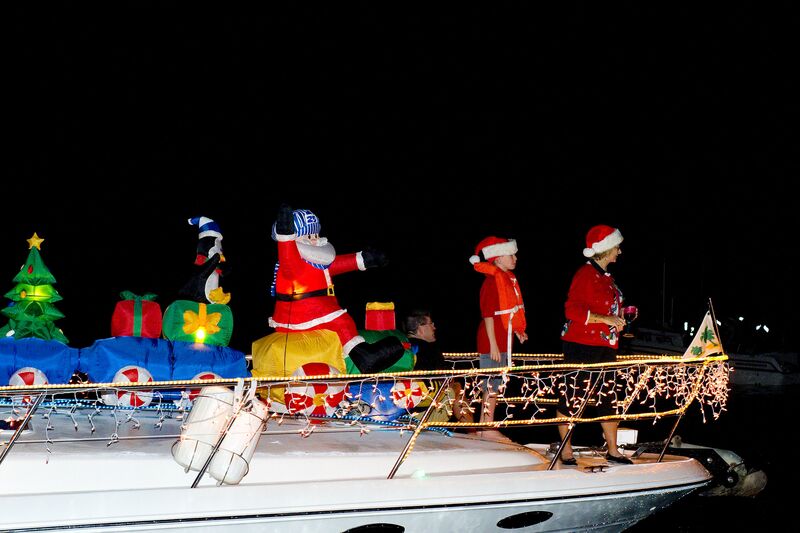 After you and your crew have a great time on your first Parade, you can benefit from the experience of others, this web site and the Decoration Workshop and add one new, custom decoration every year. Battery powered LED light strings can be purchased for about $7 and greatly enhance arm movement and waving to the crowd. It is essential that your crew be easily seen, however take care not to impede the Captains vision. This is mentioned numerous times and cannot be overstated. Have sufficient electrical power via a generator or inverter. Thousands of lights can be easily powered with an inexpensive, small 12 volt – 120 volt inverter that plugs into the cigarette lighter socket. This topic is thoroughly covered at the Decoration Seminar. The use of dielectric grease at all connections will minimize moisture issues and preserve connections. Determine how large an inverter or generator you will need. 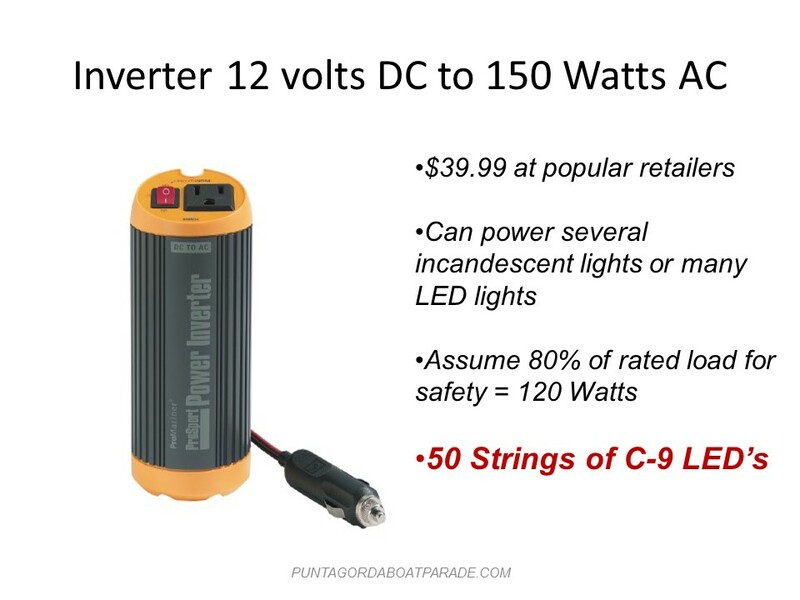 Don’t underestimate the wattage, as not to overload the inverter. Special lighting effects and light animation are not essential. Keep the design simple, concentrating on a basic theme. An excellent idea, effectively carried out will have the most impact with little cost. We can show you a proven, effective method used to allow for tremendous light displays while not increasing your electric bill whatsoever. Join us at the Decorating Workshop to find out more. 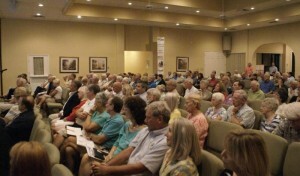 Follow Coast Guard requirements for all safety matters. Be sure to have sufficient life preservers for the number on board. Consider life jackets on any crew riding on the bow. NEVER ALLOW CREW TO HANG THEIR LEGS OVER THE BOW. Have a sufficient number of fire extinguishers in proper working order aboard. Decorations should be fireproof or fire-retardant. If using a portable generator, beware of carbon monoxide and have one person in charge of the generator and fire extinguisher. 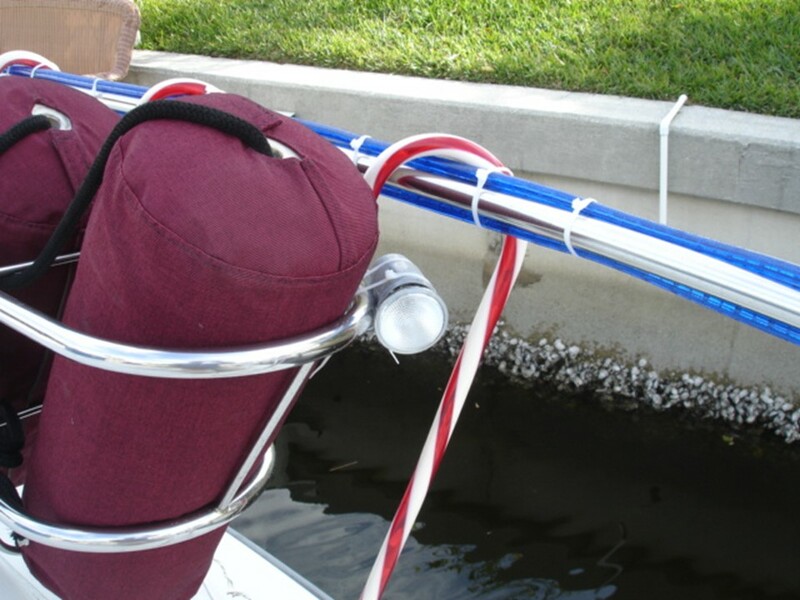 Check your boat’s ballast weight when fully decorated and with crew aboard to balance accordingly. On larger vessels the use of a walkie-talkie (marriage saver) is advisable from deck to skipper. 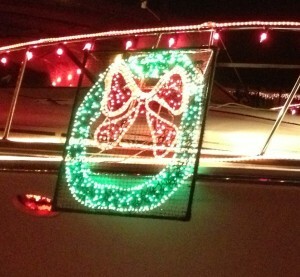 Make sure your decorations do not impede your ability to see where you’re headed or to maneuver the boat. Keep spotlights and white lights off the helm and out of the captain’s eyes. Red, blue or green are best forward of the helm. Before Parade night, test out your lights in the dark while at the helm for visibility. Consider the number of crew aboard and make their costuming an integral part of your design. 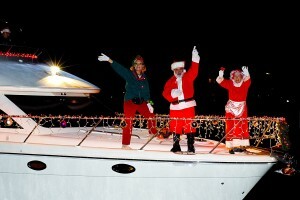 A simple and effective method is to have all crew members dressed in a single color, and use accessory items like Santa hats, illuminated hats, vests, large ties, belts, etc. … to match your theme. Sound carries over the water. 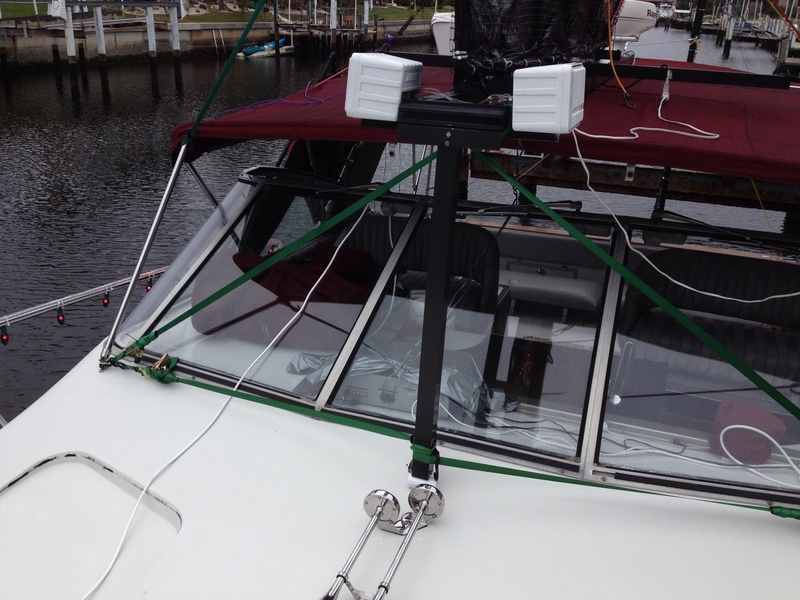 Music can be as simple as a boom box powered by “D” cell batteries, or the boats own stereo tied to speakers lashed to the deck which are easily protected by plastic bags. The crew can have some fun pantomiming to carols with fake microphones. Carefully pick music to fit the theme and mood of you and your crew. Place your speakers on the OUTSIDE where your audience will be able to hear the music. 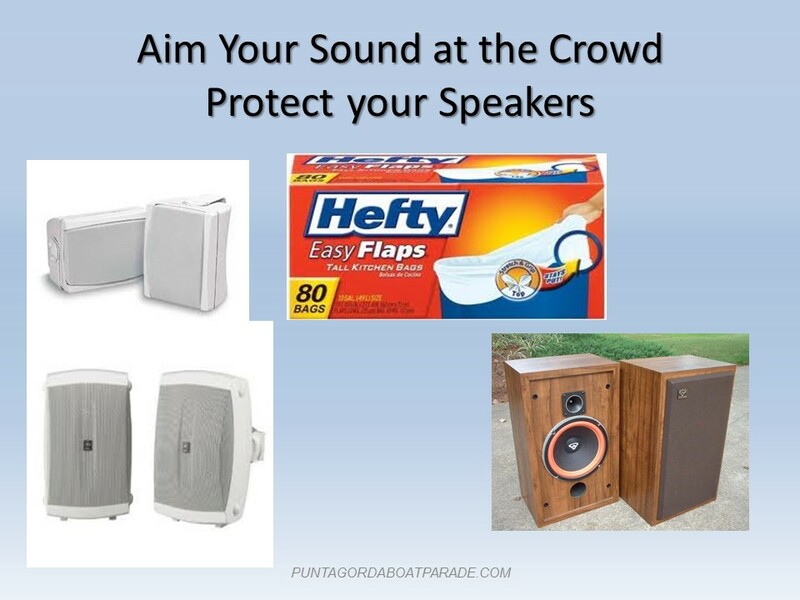 Use of plastic trash bags will protect conventional speakers from water spray damage. Static illuminated storebought decorations work well and are quick to install. Give adequate care in securing them in place using tie wraps, bungee cords or even ratchet straps. Well secured Inflatable yard decorations are great as they are large and can be quickly inflated and deflated for travel to and from the assembly area, however they can easily block your view, consume significant amperage and can create substantial windage. 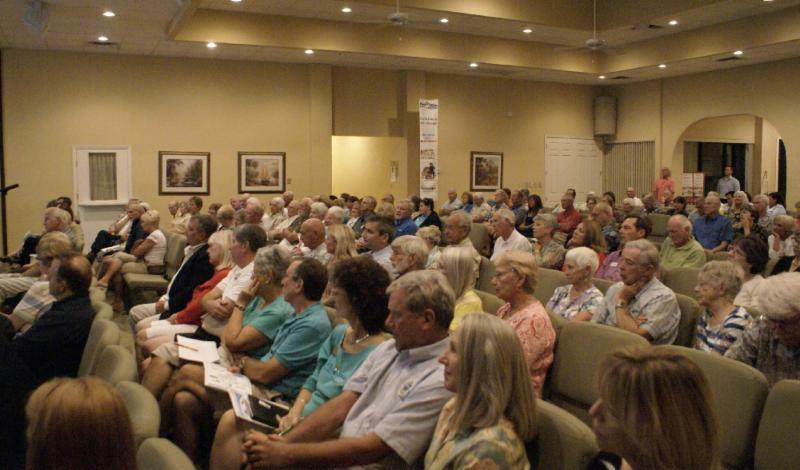 The Punta Gorda Isles Community is fortunate to have talented, unsung heroes who have contributed their ideas, experience and creativity into two easily done, economical decorating methods. Over the years, Russell Hills and Noel Hyde have perfected their decorating techniques which are shared in depth at the Boat & Home Decorating Workshop. The beauty of each of these methods is they can be done on any scale. 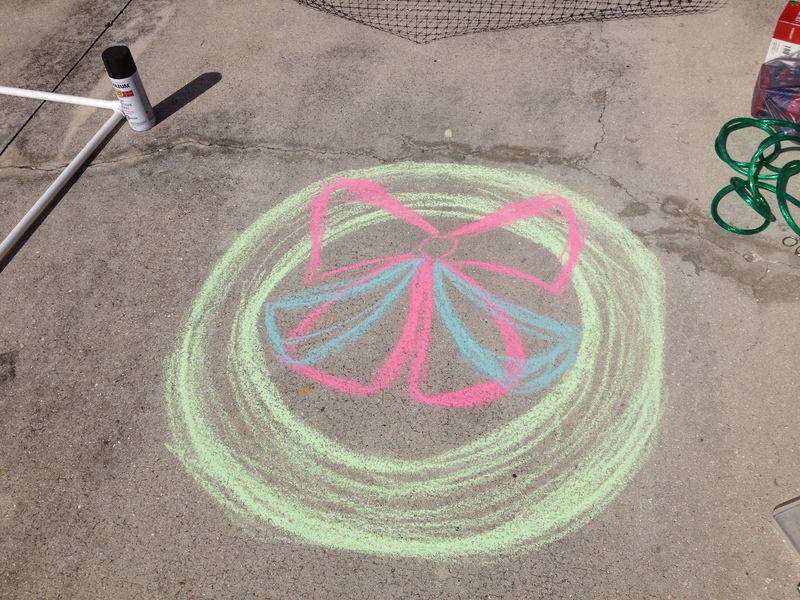 A 3’ x 3’ star, or wreath is quickly and easily accomplished compared to a huge complex design. The only limitation is your own imagination. Make things BIG, tiny decorations are difficult to see from 100′ away. The Hills method relies primarily with the use of grey PVC electrical conduit which is easily shaped with a heat gun. The design can be as simple as a jumping dolphin, or as elaborate as a helicopter or airplane. Rope lights are attached to the conduit with tie wraps, resulting in great lightweight designs that carry little windage. A sidewalk chalk design in your driveway is the first step. From there, the design is outlined onto the mesh generally using rope lights as a design border that can be filled in with mini lights. White plumbing PVC pipe frames, spray painted black, carry a plastic mesh netting with lights, all attached via tie wraps. Both the Hyde and Hills methods rely on creativity and ideas that can come from a child’s coloring book, a popular theme, or from your own mind’s eye. Another big advantage of these deigns is that they are easily dismantled into their component parts for storage and are ready to go again for next year. Most folks do a small additional design every year relying in an increasing number of items to display every year on the house, boat or pool cage. Both the Hyde and Hills methods are covered in detail at the Decorating Workshop. Other methods include painted plywood, or foam core board for signs, props or backgrounds. They can be painted, glittered, or covered with aluminum foil, mylar or plastic sheets. Under good floodlights these can look great. Large flat areas should have holes or flaps cut in them so they do not act as sails. 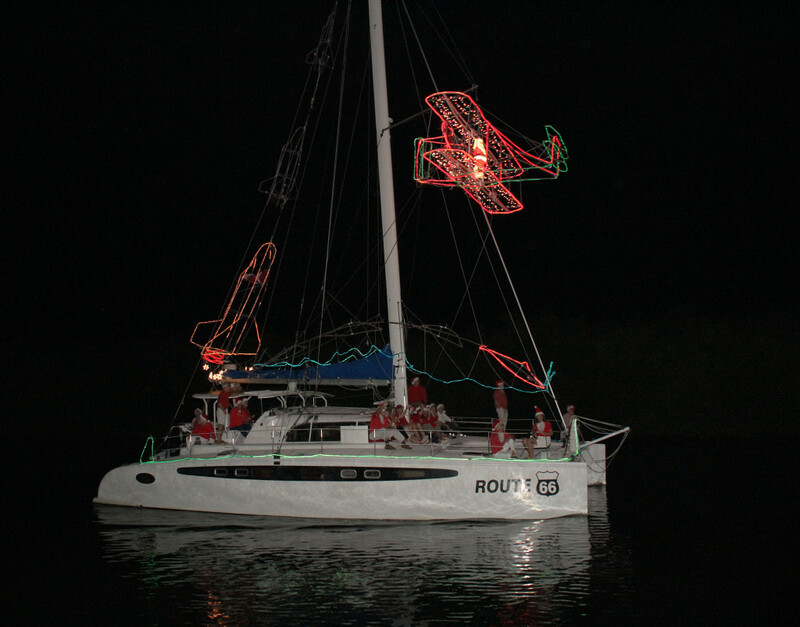 Sailboats can make use of their rigging to haul netted displays and light strings aloft. Creative ideas to have decorations move without motors or power requirements using kid power. 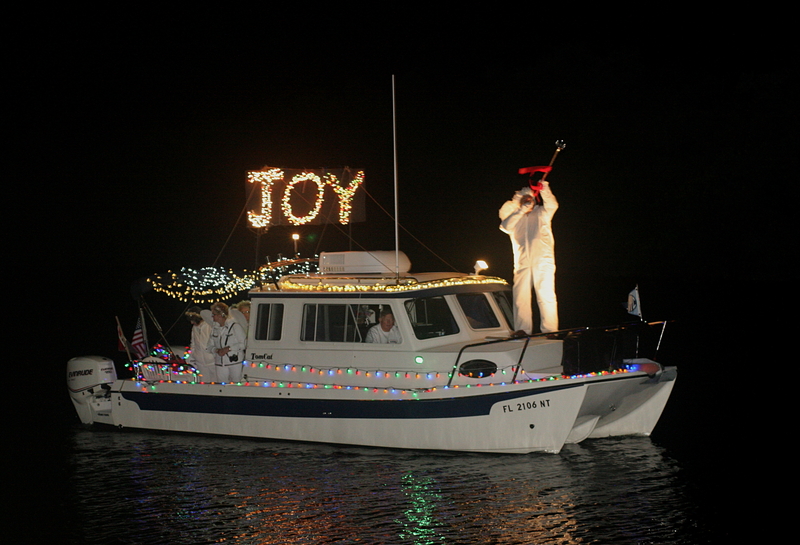 Crew members can easily pull a rope, block and tackle, lift a lever or turn a crank that moves props, a Santa, a reindeer, or even a moving watering can as seen here on Noel & Linda Hyde’s KISMET. Decorations must be firmly attached. Consider the possibilities of windage at anchor and underway, motion, rain, and seawater. Consider the use of spotlights to illuminate non-lit items like large ribbons bows and displays. 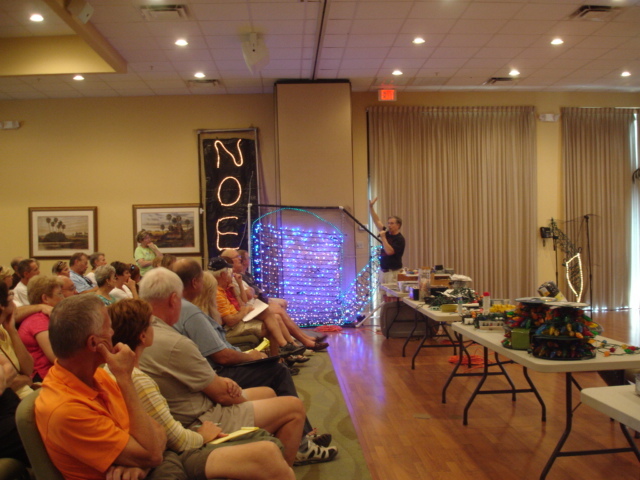 Multicolor lights can be used, however limiting your colors is most effective. 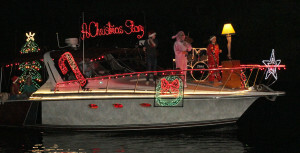 Some lighted display designs use inexpensive synchronizers to simulate movement, creating interesting action sequences. Rope lights make an effective border for a design and are relatively easy to work with. They come in two different thicknesses, the thinner bends far easier than the thick version. Remember that both sides of the boat will be seen. Live Musical Instruments: trumpets, drums, xylophones and bagpipes have been very popular. Inviting a couple of local high school students with saxophones, snare drums, trumpets, xylophone, and even tambourines have been very effective in raising cheers from the crowds. See our link to Talent Connections.